The 47-page report includes 30 recommendations to help fix a jail system some say is broken. Three South Bay jail guards returned to court Monday to hear the evidence against them in an inmate's homicide case. It was the first time the family of Michael Tyree saw crime scene pictures of him during the preliminary hearing. The Santa Clara County Main Jail correctional deputies are also accused of assaulting Juan Villa, a mentally-ill inmate. 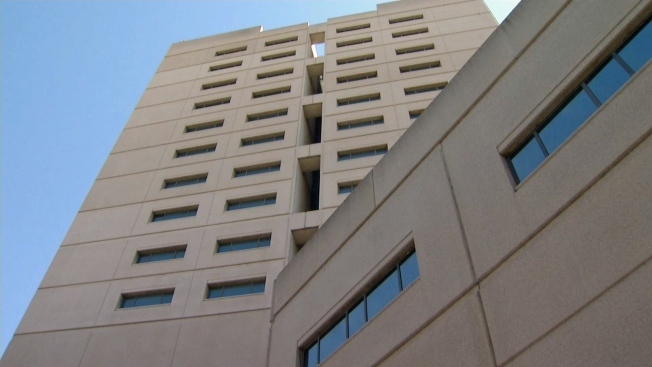 As Monday's proceedings unfolded, NBC Bay Area obtained the final report on the investigation of the Santa Clara County jail and its processes. The 47-page report includes 30 recommendations to help fix a jail system some say is broken. "If there's not a crisis already, the intent is to head off a crisis," said Aaron Zisser, a civil rights consultant who wrote the report. The report is filled with findings and recommendations on the grievance and complaint process at the facility. "There's a culture at the jail of disregard, minimization and inmate concerns," Zisser said. Among his findings, the jail fails to distinguish between ordinary grievances and alleged staff misconduct. The jail fails to report use-of-force allegations and management allows guard to intimidate inmates who file a grievance, according to findings published in the report. "I think we're probably lucky more incidents haven't happened like the death of Mr. Tyree," Zisser said. Tyree's death, allegedly at the hands of three guards, sparked the appointment of a Blue Ribbon Commission on improving in-custody operations. Retired Judge LaDoris Cordell heads the Blue Ribbon Commission. "I do not want what I'm doing to be window dressing and I will do everything in my power to see these changes be implemented," Cordell said. Meanwhile, the Sheriff's Office said it is working to improve its jail operations. "We are making strides to improve things," Santa Clara County Sheriff's Office Sgt. James Jensen said. "Once we see a problem we try to fix it even before the suggestions are made."